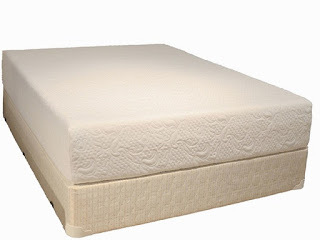 I hesitated posting this topic because I don't care about the topic of memory foam mattresses in general; I don't really wish to discuss them, they aren't important to me and I really don't care about mattress talk in general either. However... it's been bugging me - and the fact that I know our mattress made me incredibly sick and if I don't at least speak up and say something, then I'm part of the problem. In 2011 we moved into a new home and I purchased 2 regular mattresses for our bed and our daughter's room, and two memory foam mattresses for the other two rooms we were using as "guest rooms" for when our other 2 kids came home to visit or when friends and family stayed. I wanted to find the exact style and brand we bought - but the order history from Sam's Club only allowed me to go back to orders from 2013 so I'm not sure of the exact one, only that they are Memory Foam and ordered through Sam's Club in November of 2011. Over the past couple years I've only slept on them 1 night at a time, usually when there were tornado warnings outside and I set up shop in the basement and slept downstairs those evenings. My husband and I had been waking up with aching backs, sore necks and shoulders and knew our mattress was causing it. Knowing how comfortable the memory foam mattresses are and how awesome my back always felt after sleeping on them, I had my husband change out our mattress with one of the guest room mattresses. That first night, I slept great. Woke up happy with the exchange, loving that my back was better supported. The second night however, I woke up with a bit of a sniffle and irritated throat. Figuring it was allergies of some sort, I didn't give it any thought. As the days went by I found myself constantly sniffling, nursing an increasingly sore throat, and coughing. Conversations about my 'allergies' centered around what in the world was blooming or drifting in the air that was causing this? And why suddenly now, and never before? It would seem to get a little better by the afternoon but the next morning it would be bad again. I suspected strep at one point, but my throat had no white spots at all. It was just an angry dark red and later, purple. I'm going to make a very long story short and skip ahead a bit. In one month there was a grand total of 3-4 days when I did not suffer from horrible "allergies. My throat was so incredibly raw, it was a deep, dark, angry purple and I was having to take strong Excedrin with caffeine to help cut through the pain and get any relief. I often took that plus 2 aspirin as the pain was THAT bad. My sore throat and sniffles got better when I was outside... (MAJOR CLUE). My lymph nodes were swollen as my body tried so hard to fight 'something'. 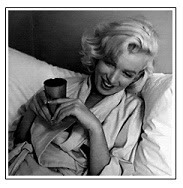 My voice was becoming so damaged I found I could no longer do one of my favorite activities; singing. I could not sing... and that has never in my life happened to me, and was very scary. I was constantly having to use cough drops and trying to numb my aching throat. My throat was the darkest, deepest, most unbelievable dark purple color, I had constant sniffles and drainage and my headaches had gone from a 3 to a 10 on the pain scale. The ONLY time I felt good was when I was out of our bedroom and away from our mattress. my allergies got BETTER any time I was out of the house. Even if I was just talking on the phone on the front steps. If I had allergies, why did I get BETTER outside? I deep cleaned everything in our house thinking I must be allergic to dust. Every nook and cranny was deep cleaned, including climbing on the kitchen counters to reach and clean the tops of the kitchen cupboards! Light fixtures dusted. Light bulbs were dusted. I balanced precariously on the top of our 8 foot ladder and used an extension rod to clean the tops of the ceiling fans in the high ceilings, as well as cleaning all the fans in every room of the house (that were already clean... but I'm telling you, I was DEEP cleaning). I was that desperate for relief. After 3 1/2 weeks I happened to go hiking out in the woods of a state park. Since my allergies should have been acting up horribly after deep breathing and hiking outside on a hot, humid day in the woods, I was surprised to find I felt great. On my drive home my throat pain was almost gone as I had been gone all day long, outside, and while I always felt better in the late afternoon and evening, I felt particularly good... completely opposite of how I *should* have felt if it were truly allergies. That night I went to bed as usual and for what felt like the hundredth time, laying in the bed in the morning, I started to think about the timeline, the symptoms: when I felt better and when I felt worse... and whether or not I changed ANYTHING almost a month earlier when these symptoms started. New purse or anything with fake leather or heavy chemicals? No... no... no... no.. and nope. The only thing that we did different was.... We changed to the memory foam mattress. That morning I went online to see if other people had known issues with memory foam mattresses... OH MY GOSH HOW DID I NOT KNOW THIS WAS SUCH A BIG ISSUE? It is. While some people seem to sleep on them with no issues to the many (many many many) chemicals these mattresses are saturated with... others, like me, have reactions. Some have serious medical issues from it as their bodies reacted strongly, or they continued to sleep on them, never guessing the cause of the problem was literally right under their feet. And head. And back. 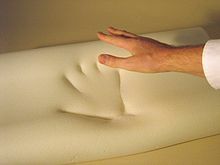 As a matter of fact some companies were sued over it (Tempurpedic Sued Over VOCs & Memory Foam Safety). This is a KNOWN problem. But... you probably don't discover it until you are doing your own research as to why you are so sick. I made my husband take the memory foam mattress back upstairs and bring our regular mattress back. I woke up the next morning 80% better. Honest to God. BETTER. It was THAT black and white. By the 2nd morning I had almost no sore throat at all, my nasal passages were clear, I wasn't coughing and I had no headache. My 'allergies' and pain disappeared. There was no doubt... I had reactions to the chemicals in the Memory Foam mattress. And it wasn't even a new mattress that hadn't been "degassed' yet (one of the things the mattress companies tell you to do IF you contact them with symptoms or complaints). I KNOW FOR A FACT this is what made me sick and I've been fine since I stopped using it. But I told my husband... I feel SO SORRY for the babies and toddlers being made to sleep on these mattresses that may also be sick from them and CAN'T TELL ANYONE. Babies and little ones may needlessly be dragged to the doctor and put on medication and going through their own little worlds of hell... and no one is suspecting it's because Mom and Dad are using a Memory Foam Crib Mattress. So that is why I'm posting "MY STORY" over morning coffee. Not telling anyone what to do. I even admit some people have no reactions to the mattresses - my husband had very minor reaction to it - nasal dripping and sniffling he attributed to a minor allergy but not nearly as serious as mine) and his also went away the 2nd day after switching back to a regular mattress. I just want to at least feel I did my part by putting my story "out there" and maybe I can help one person... or one parent of a baby or toddler suffering from 'allergies' that can't speak for themselves.